Climb Advisory (Nov 2012): Thefts still reported in Mt. Romelo / Be careful this Christmas season! We have closely followed the situation in Mt. Romelo. Our last climb advisory last 2011 stated that thefts continue to be reported, and unfortunately, that is still the case until now. We have just received a report of theft last November 10, and also before that. 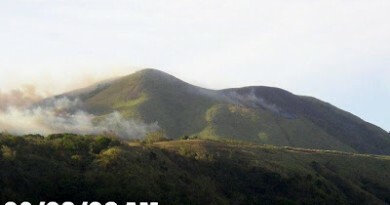 Despite the assurances of Siniloan town that they are ‘securing the mountain’ with barangay tanods (and collecting a P50 fee per hiker for that, there is no reason to feel safer in Romelo now compared to previous years. From our previous advisory: “The history of theft in Mt. Sembrano is very long. On March 9, 2009, a Hiking Advisory was also issued, after several reports of theft. As for Mt. Romelo, there have also been countless reports of theft since 2004; our alarm has been more heigtened with reports of recent theft (Dec. 23, Dec. 27, Jan 3, etc.) Several complaints have been filed last year but there has not been any improvement in the situation. Especially now that Christmas is nearing, for the time being we STRONGLY DISCOURAGE climbers to hike, and especially to camp, in Mt. Romelo. We are not afraid of petty thieves but we must show the locals in all mountaineering destinations that they have a responsibility to maintain peace and order if they wish to have visitors in their place. Climbers are encouraged to pressure the local officials to act by reiterating our collective desire for security and our indignation against thievery. On the other hand, securing your belongings and not bringing unnecessary items and valuables during your climb must also be done, and as part of reponsible outdoor recreation, this applies to all mountains.